Despite his post-match assertion that he retained the support of the club president, Inter coach Gian Piero Gasperini woke up this morning to find that he was out of a job. “Moratti has declared that I don’t have the support of the players? The harmony of the group is very good,” Gasperini told La Gazzetta dello Sport following the shock 3-1 defeat to Novara on Tuesday. Having slept on it Moratti did what we all suspected he’d been longing to do, and fired Gasperini. A statement from Inter read: “Inter announces that today’s training session has been carried out by Daniele Bernazzani and Giuseppe Baresi. Given that the defeat to Novara ended Gasperini’s brief stint in charge of Inter, it’s easy to overlook the significance of the result to the home side. This was their first win in Serie A for 55 years and when one considers that ten years ago the club were playing in Serie C2 (Italy’s 4th division) the achievement is all the more remarkable. Highlights of the game can be seen here and only a stone-hearted cynic would begrudge the fans their moment of happiness. Players, officals and of course the supporters celebrate as if this was the greatest moment in Novara’s history, which in many ways, it was. The video frequently cuts to Massimo Moratti who scowls and winces and looks for all the world like an employer who is mentally composing a letter of dismissal to an underperforming employee. Bad news for Arsenal fans: Arsene Wenger says that he wishes to remain in charge for 14 more years. “I can understand that people are unhappy and criticise, but you know as well as I know that people are very quick to go overboard,” said Wenger, clearly forgetting that his side have shipped 12 goals in their last two away matches, and have now won just 3 of their last 16 league matches. I’m all for the power of positive thinking, but there comes a time when reality must intrude. Clearly for Wenger, that moment hasn’t yet arrived. The Frenchman was supported by chief executive who refuted suggestions that Wenger might be sacked. “[Sacking him] is a route we are not going to go down,” he said. I don’t think even his harshest critics would suggest that Wenger has become a bad manager overnight; it’s take over five years to get to this stage. The latest FIFA rankings have been published and as always they are set to stir up controversy. England, who last month rose to 4th spot on the back of a postponed friendly with Holland, have dropped four places to 8th, despite winning both matches they have played in the past month. Meanwhile, Holland, last month’s top-ranked side, drop a place, even though they too won both their games in September. Spain have regained their place as the top-rated team, a status befitting the current World and European champions. Indeed, the entire list appears a better reflection of recent form than the previous month. Nilmar finished cooly, but it was the weight of the pass from Valero that elevated this goal above the ordinary. 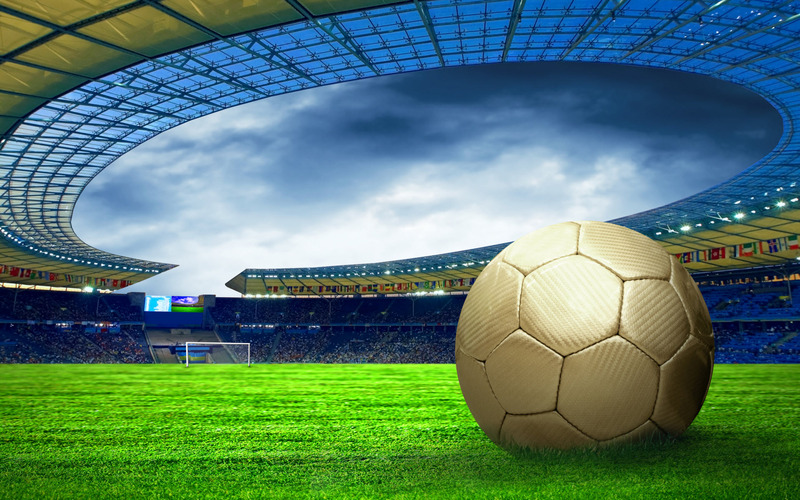 Two men who posed as official FIFA agents in Korea have been arrested after allegedly claiming more than 450 million won (€285,700) in fees from young footballers and their parents. The unlicenced pair acted on behalf of the agency Sehwa Friends Co Ltd and claimed that they could broker deals with European clubs. They told the footballers and their parents that they had contacts with Belgian clubs and some Japanese teams and they could join the clubs by just having some minor medical tests. In exchange, and displaying a level of gullibility that will have alerted 419 scammers the world over, the parents the parents handed over cash payments. According to Yonhap News, the players’ parents were deceived by the pair putting a FIFA logo on their business cards. Cunning. Reports from Singapore indicate that Manchester United may abandon their plans to float the club on the country’s Stock Exchange. The move coincides with the announcement that all United’s non-playing staff will receive an annual bonus of 7.9 per cent on top of another salary increase. The move was interpreted as a sign that United were a worthwhile investment, but it appears not to have worked. An alternative theory is that the owners have shelved the flotation because of an imminent takeover bid by the Qatari royal family. Brazil’s 2014 FIFA World Cup organisers have received a boost after strike action was ended at the Mineirao stadium in Belo Horizonte. The Governor Magalhães Pinto stadium, better known as the Mineirao, and soon to be remembered as the White Elephant stadium, is a 72,000-seat venue that is being modernised into a 65,000-seat stadium. Tuesday’s news comes after construction work at Rio de Janeiro’s Maracana stadium resumed on Monday after a judge’s ruling overturned a strike. Workers last week said they would continue indefinitely a strike that had already halted work for two weeks. 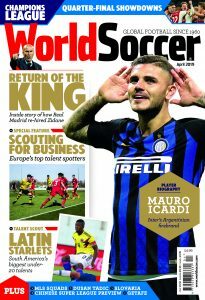 The return to work will come as a relief to FIFA, who have already issued dire warnings about the readiness of Brazil to host the 2014 finals. As for the 2013 Confederations Cup, well the words ‘wing’ and ‘prayer’ come to mind. Fenerbahce’s experiment of excluding all men from their match against Manisaspor turned out to be a success. Off the pitch, at least. 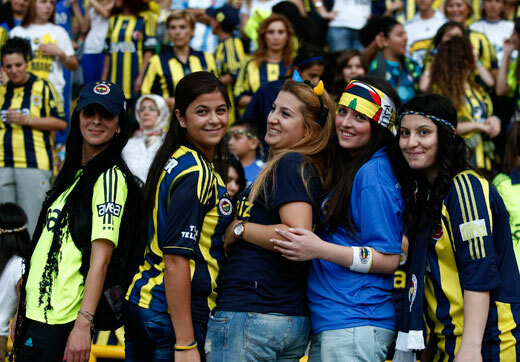 The decision by the Turkish Football Federation to punish Fener by only allowing women and children under the age of 12 to attend last night’s game was rewarded by a crowd of 41,000. Highlights of the game give you a flavour of the atmosphere within the ground. Television directors who habitually scan the crowd at sporting events in the hope of locating an attractive woman, were somewhat spoilt for choice at the Şükrü Saracoğlu Stadium. Simultaneously, while the match took place, the men of Istanbul were staging a mass sulk in protest at having to fend for themselves for a couple of hours. India’s best-known footballer Baichung Bhutia, has spoken of his eight-hour journey on foot and by bus to reach his pregnant wife after an earthquake hit his home state of Sikkim. If he’d been India’s best-nown cricketer I’m sure someone would have offered him a lift. Bhutia was the first Indian to play in Europe when he was signed by English club Bury on a three-year contract in 1999. He also won the Indian version of the dance reality show ‘Dancing with the Stars‘ in 2009. “I was really worried because my pregnant wife and 17-month-old twins were in (state capital) Gangtok, which was badly affected,” Bhutia told AFP after a press conference on rescue and relief efforts in the northeastern state. “It took me eight hours to reach my family, they are all fine. Fortunately everyone in my village is safe and there is no major damage there but I worry for my people in north Sikkim,” he said.